Can't help there. Will be on my yellow Airnimal Chameleon, in my pink, blue and white (old Lampre colours) CC Basingstoke kit. But I'm a big bloke with an upright riding style so should be able to make a big hole in the wind for you. Ah, that's improved since I hit refresh this morning. It was showing SW 4-5 depending on if I chose Utrecht or Delft as the location. SW2 looks much more doable. Gonna be a bit colder tho. Just hope for no ice. Seeing the improved wind forecast has relaxed my mind quite a bit. Ooh, assuming I am not slowing you down, that is a lovely offer, thank you. Are you arriving on the Friday evening, or Saturday morning? Took the bike into the bike show this morning cos I wasn't sure about the front wheel, on the plus side I now have a round front wheel. On the down side I either need to stick a new rotor on the rear, or true the rear rotor, tonight. For those of you who've done rides like this in the past, how much water/drink do you take? Is it safe to assume I can refill at the controls? or should I work on the basis of carrying enough for the full 200km? I usually bring 2 bottles (2 litres) with plain water and for me this is plenty for a 200km. Refilling at a control (which tend to be pubs, bakeries, gas stations etc) has never been a problem either. I usually have something sweet to drink (chocolate milk, cola) at the controls too. Everyone who is coming to Bunnik tomorrow: have a great ride! I survived. I was lantern rouge for much of the ride. But I did it. In the time limit. I collapse now. Well, Strava tells me that you rode with one of my mates. So I guess next time you just check for the blue/green shirts to find the team riding at your speed . Ooh, which ones? The peloton of recumbent Germans, or the duo on upwrongs with GPS issues? Was nice to be able to ride approximately ⅔rds with them, tho I was a bit too slow in the end. They gave me ambiguous round of applause when I got to the finish. I decided to get a bed in the hostel rather than battle trains back to Amsterdam. It still hasn't quite sunk in yet, I just cycled 200km on a bike I built myself. It still hasn't quite sunk in yet, I just cycled 200km on a bike I built myself. I’ve been working in The Hague for five months. There’s been some exceptions, another client in Switzerland, but that means getting on plane from Schiphol to Basel. Otherwise every Monday morning I hop on the first flight from Southampton to Amsterdam and every Friday I fly back. The saving grace is that my Airnimal sits in the hotel staff bike park and I go out most evenings after work in the dark (and often the rain). On Wednesday nights I get my legs ripped off by the Lola Cycling Club who meet at the Lola café just down the road. Being away from home so much means that I promised my wife that I wouldn’t go cycling at the weekends (my promise not hers). So she came up with the suggestion that I do some Dutch audaxes while I’m here and, with Ivo posting a list of events, I found myself heading towards Bunnik, a forty minute train journey to Utrecht and then a 6km ride to the start at a café and hotel in the middle of what looks likc a country park. My Airnimal attracted more attention than the several velomobiles parked in a line. I met with Quixotic Geek, a fellow forumite at the start. Then we are away. The whole route is on cycle paths and some shared use roads where it seems bikes have priority. But that means lots of short tight turns, dodging road furniture and other mayhem. I’ve been riding in a tight group with the Lolas and the Airnimal is really nippy around tight turns, so I lost Quixotic Geek in the first kilometre. I chose the second group, not the really fast guys, which turned out to be the right decision. We were a group of about eight, including two guys from Enschede in Germany, for whom this ride was more local than many of the German events. Eight became six and then four as we battled into a steady but not impossible headwind. The only hills were climbing out of the polders and onto the dykes in this completely engineered landscape. We passed the lowest point in the Netherlands (at -6.76m or -9m on the Garmin). One of our group, a sports doctor, knew the route very well and pointed out some of the local sights. Another, Henk, had particularly strong legs and did big turns into the wind. We chatted about rides, Randonneurs Nederland doesn’t have so many events but the country is not so big so it’s easier to get to them than in the UK. The first control was in a café in a tiny hamlet near Delft, with excellent pastries and soup. I had the pastry. We’d done 84km in 3 hours. The four of us set off through Delft; the route missed the pretty centre and we had to fight double doses of road furniture and complex navigation. I was glad of the new Garmin, as a route sheet would have stretched to several pages. The sun came out and the wind mostly helped although it was stronger and more southerly than forecast. The one bit of the route that I had ridden before was from Benthuizen to Woerden but I was in for a surprise: tucked behind the windmill in Benthuizen was a tiny little old fashioned sweet shop, with two old ladies dressed up in traditional costume, selling old fashion sweets. The sports doctor knew about this but it’s only open a couple of times a week for a few hours. The next section to Woerden was mostly crosswind, with little shelter. It was hard work, trying to ride in echelon but having to move out of formation a shared use road. ‘Dutch Mountains’ is what they refer to the wind and I entered the scenic moated town of Woerden with heavy legs. But the sports doctor was suffering more than I was and so I found myself doing turns on the front, mercifully with more of a tailwind. My legs were struggling with the lack of hills, so no opportunity to relieve the strain by coasting. But not as much as the sports doctor, whose legs were turning to jelly. So we ended up as a three. Henk and Rene were riding together but Henk’s GPS had packed up, so they were reliant on me, a novice GPS user to guide them round. But that had an advantage. They were going stronger than me and would have dropped me, but they had to look after me and in the last 50km I did very little on the front. Which helped, because the wind was strengthening to a force 5 or even 6. We were now going through an area of woods and small canals, full of very large houses, then around a lake where we were fully exposed to the wind. The second stage was 82km, so I’d now done 150km on a pastry an Eat Natural bar and my energy drink. I was hanging on the wheels. It turned out that the second control was free so we ended up doing an extra 4km to a café that Henk and Rene knew, by which time we had completed 169km. A cheese and ham toastie restored my spirits and we were off for the last 30km into the wind. Henk set off at 28kph and the other two of us hung on. Lakes, dykes, open fens, and motorway bridges passed. Then we were going off route. Henk and Rene were from Houten just next to Bunnik and these were their local routes. Checking the data afterwards my heart rate was solidly over 150 on this section. The finish was at the café where we had started, but this time it was heaving with people who had been in the forest park. I had a beer with my two new friends. Then it was time to put the lights on and head back to Utrecht for the train to The Hague. It had been a great day out, fine weather, good company, and much faster than I would normally do a 200 at this time of year. There is more in common with long distance cyclists around the world than separates them through different nationalities. I’m now looking forward to the 300km in March. Carsten, a recumbent riding German living in Belgium. Probably wearing a BEMI shirt (Bicikilista Esperantista Movado Internacia). Well, a few months from now you'll just shrug off a 200k as just another saturdayride . Anyone else planning to do this one? Both controls will be at well heated McDonalds eateries which in Germany also have vegetarian options. The wind prediction is east, which is great as this will mean a nice tailwind for the final section. BTW, there's a decent group of calm riders which will populate the tail end of the field. Ah yes, It's Saturday, but I'm training down to Maastricht on Friday night, hence my brain being confused. Ah, so another slog into the wind on the way out, for a tailwind on the way back. This is going to be my first BRM with hills... shall be interesting. Ooh, company for the lantern rouge. Shiny! I'll likely do this one. It looks like the route goes through Valkenburg, but not up the Cauberg. If I make it, I'll do a detour! The descent via the Bemelerberg is nicer as the descent via the Rasberg. My plan is to ride up the Cauberg, turn south in Vilt and then pick up the official route again. Don’t think I’ve ever ridden the Rasberg, but have ridden the Bemelerberg a few times. I'll be arriving in Maastricht on Friday afternoon. Have a bed booked in the hostel for Friday and Saturday night. If anyone else is arriving the night before and fancies a pre ride beer, drop me a message. On the ride I'll be the Brit, riding a dark red Genesis bike, probably at the back... say hi! Will head down on Saturday morning if I do go. Cafe Frape is nice place for a beer. I live in Maastricht so I'll certainly be in town . My friday shift ends at 19h00. I' m planning to do this one during a short holiday with my family. Someone has information about it? For example start place and approx route? This is a new route so normally seen Ernst should still be plotting it. 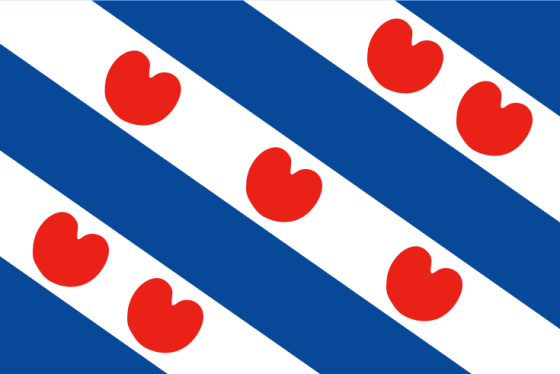 The name does betray something, the Zuiderzee is the name of the sea which was where now the IJsselmeer is. So you can expect the route to go around the IJsselmeer but evade the 'new land' of the Flevopolder. It's a Dutch classic, a loop via the old land. It's looking like the forecast for Saturday is brutally cold, but sunny. Starting off at -4°C, but with wind chill feeling like -14°C !! !